A well-maintained and regularly serviced forklift can last for 20 years or more. Naturally, some parts need to be replaced occasionally. Sometimes you won’t know what those parts are until they break, but other parts tend to wear out at fairly predictable rates. Because they are also the parts you depend on for the safe and efficient operation of your lift truck, it’s important to inspect them regularly and replace these essential forklift parts as needed. Everyone who drives or maintains a forklift should be familiar with OSHA forkift operator daily checklists. The typical checklist contains dozens of items, including “engine off” and “engine on” checks and at first glance can look confusing and unnecessarily time consuming. Go through the checklist just a few times, though, and you’ll discover that it really only takes about 5 minutes to complete. It’s 5 minutes well worth spending, too. Checking your tire condition and pressure daily will help you anticipate how often you need to replace your tires. Checking tire pressure daily will alert you to slow leaks if you find you need to top up the tire pressure more regularly than usual. Checking an electric forklift’s battery water level daily will help you optimize your water level replacement schedule and avoid prematurely damaging your battery. Checking engine oil and hydraulic fluid levels will help you keep tabs on seals and other forklift parts that may need replacing. Some of the “engine on” checks, such as service and parking brake checks may seem unnecessary because you will notice if they need servicing during the course of your shift. However, if they do need attention, it’s better to do what’s necessary before work begins than to upset the workflow in the middle of a busy day. As you accumulate more knowledge about your forklifts, you’ll be able to anticipate when parts are likely to need replacing and order your essential forklift parts ahead of time. Doing this can potentially save you costly and sometimes disastrous down time while waiting for parts or taking a forklift out of operation for repairs just when you need it the most. 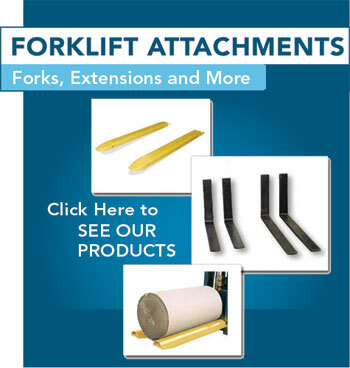 You’ll find all the forklift parts you need on forkliftaccessories.com. If you’re here looking for forklift accessories or attachments, think about any parts you may need now or in the near future as well. Some parts are so light, they won’t add anything to your shipping charges and if you order everything you need at the same time, it will all be delivered to your door at the same time. If there’s something you don’t need now, but think you may need in the future, just put it on your wishlist. That way, you’ll know where to find it when you need it. 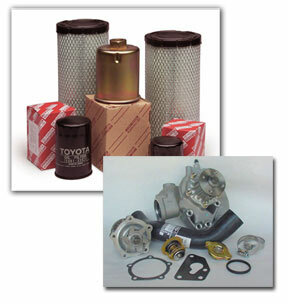 And if you have any questions about how to order essential forklift parts and accessories, drop us a line. One of our in-house customer service representatives will have the answers for you.